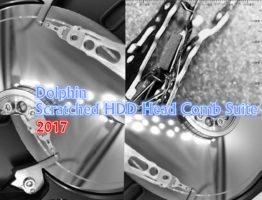 Seagate LM Slim HDD Head Comb Suite.Advanced is the latest metal head comb suite specially designed for Seagate laptop SLIM hard drives with 1 platter 2 heads and 2 platters 4 heads and these heads park on one external ramp. ST Slim 4H, 2 pieces, used for slim HDDs with 4 heads. 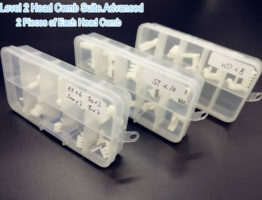 Both names are clearly and properly put on the head comb itself, when users get the head combs, it is super easy to learn which head comb is for 2 heads’ Slim HDDs and which head comb is for 4 heads’ slim HDDs. This head comb suite adopts high-precision design with 304 stainless Steel material. 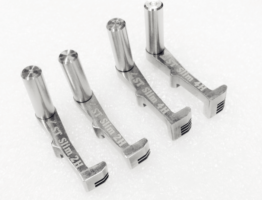 The most important, the head combs keep automatic parallel to the head arms when the heads are separately securely and the head comb will lock the heads properly without any unallowed movement. This is to ensure the platter will not be scratched due to any minor angles between the head combs and arms. Some people may use DIY or some unprofessionally designed head combs, that will simply scratch the platters and lose the data forever. 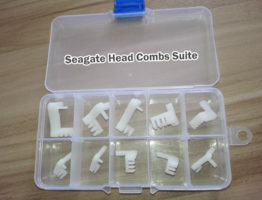 Besides, Seagate Slim HDD Head Comb Suite.Advanced has one smart handle to assist the head comb installation and uninstallation, it is very easy to use. With this head comb suite, it’s believed clean room engineers will have much higher head swap success rate at better efficiency for Seagate Slim laptop hard drives. Really very good design and easy to use for Seagate slim hard drive head swap, 100% success! 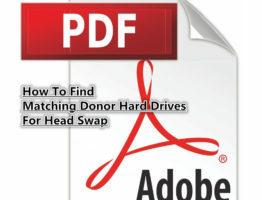 Thank you sir for loving our products and we will release more new head and platter swap tools for new drives! Thank you hddheadtools, I have fixed my case and get data back, nice tools! Thank you sir for your feedback and we will create more excellent head replacement tools, pls keep an eye on our shop. 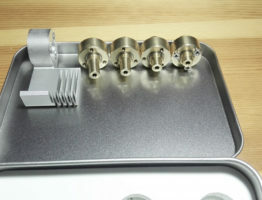 I bought this head tool set too and it works properly with the special LM SLIM head structure, thank you for the good product. Thank you sir and glad our tools help a lot in your data recovery cases.